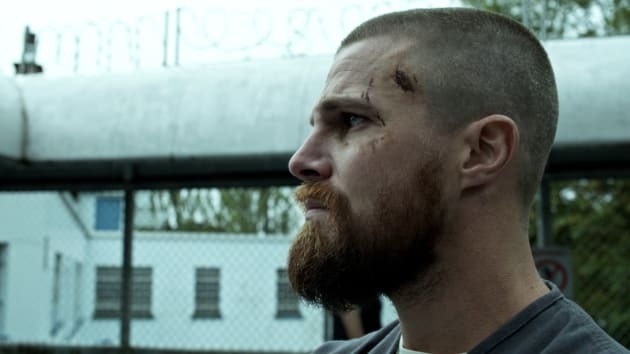 Oliver must make a life-altering decision on Arrow. "The Slabside Redemption" is the seventh episode of the show's seventh season. 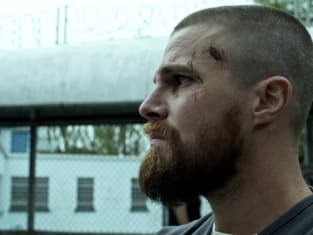 Arrow Season 7 Episode 7: "The Slabside Redemption"
Diaz: They don't see you as Green Arrow in here. You're just a number. It's pretty dehumanizing, isn't it? Bet you weren't thinking about that when you were locking these people up in here. Oliver: Well, I'm not going to do that to you. I'm gonna end you. Diaz: You're gonna die today and I'm gonna be the one who's gonna do it. Permalink: You're gonna die today and I'm gonna be the one who's gonna do it. Oh my god, you're "Shawshanking" out of here. Permalink: Oh my god, you're "Shawshanking" out of here.